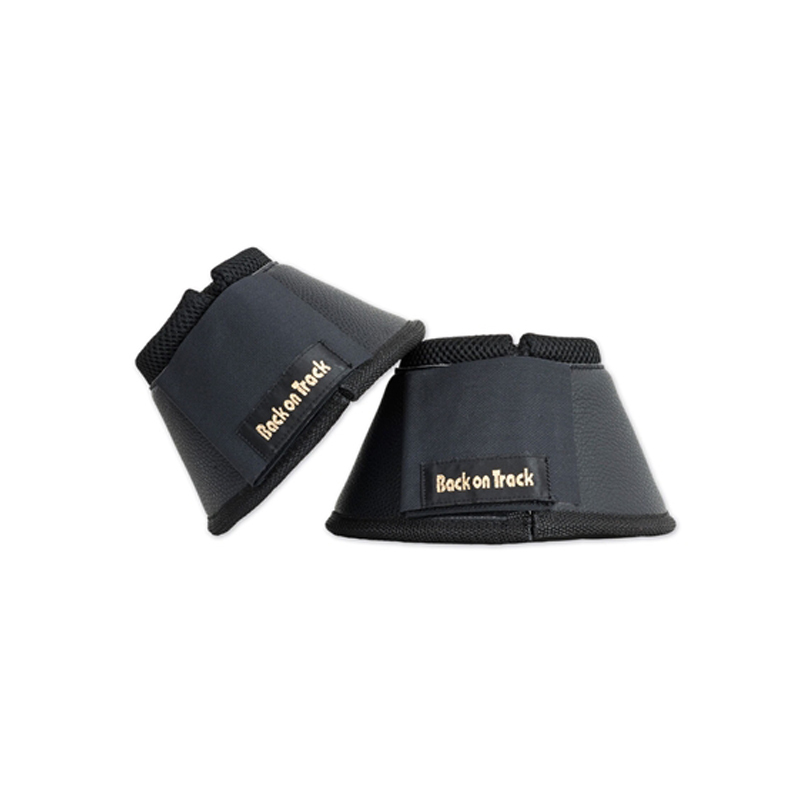 The Bell Boots can be used in paddocks or stables, while travelling, pre-competition or in training/riding to prevent over-reach and damage to the heel. Bloodflow to the hoof area is vital for good healthy, sound feet. They are designed with a robust neoprene outer with imitation leather covering, and heavy duty hook and loop straps, and finished on the inside with Back on Track's trade-mark Welltex ceramic fabric. Fabric: Outer: Neoprene and imitation leather. Inner: 100% Welltex polypropylene ceramic textile.